My Sister sent me this photo and it was captioned “Silverware by Tim Burton, available at Macys”. 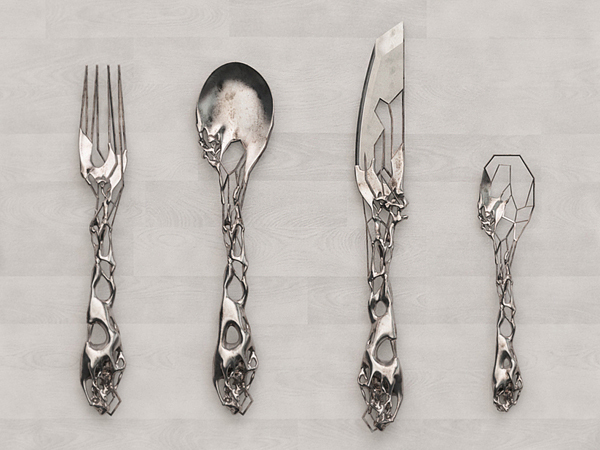 But a little quick googling showed that it’s not Tim Burton but Isaïe Bloch who created this 3D printed flatware masterpiece. And you can buy a printed copy of each piece from his store for about 250 euros each.